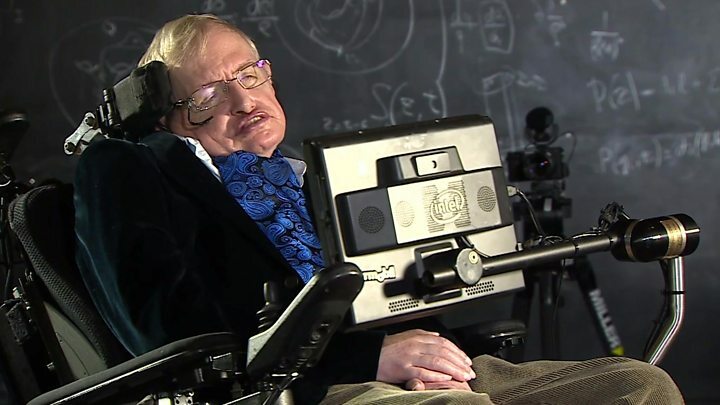 Stephen Hawking says that US President Donald Trump's decision to pull out of the Paris climate agreement could lead to irreversible climate change. Prof Hawking said the action could put Earth onto a path that turns it into a hothouse planet like Venus. He also feared aggression was "inbuilt" in humans and that our best hope of survival was to live on other planets. Prof Hawking has also inspired generations to study science. But through his media appearances what has been most impressive of all has been his humanity. His main concern during his latest interview was the future of our species. A particular worry was President Trump's decision to withdraw from the Paris climate agreement to reduce CO2 levels. "We are close to the tipping point where global warming becomes irreversible. Trump's action could push the Earth over the brink, to become like Venus, with a temperature of two hundred and fifty degrees, and raining sulphuric acid," he told BBC News. "Climate change is one of the great dangers we face, and it's one we can prevent if we act now. By denying the evidence for climate change, and pulling out of the Paris Climate Agreement, Donald Trump will cause avoidable environmental damage to our beautiful planet, endangering the natural world, for us and our children." The UN's Intergovernmental Panel on Climate Change (IPCC) also highlights the potential risk of hitting climate tipping points as temperatures increase - though there are gaps in our knowledge of this topic. In its Fifth Assessment Report, the IPCC authors wrote: "The precise levels of climate change sufficient to trigger tipping points (thresholds for abrupt and irreversible change) remain uncertain, but the risk associated with crossing multiple tipping points in the Earth system or in interlinked human and natural systems increases with rising temperature." When asked whether he felt we would ever solve our environmental problems and resolve human conflicts, Prof Hawking was pessimistic, saying that he thought our days on Earth were numbered. "I fear evolution has inbuilt greed and aggression to the human genome. There is no sign of conflict lessening, and the development of militarised technology and weapons of mass destruction could make that disastrous. The best hope for the survival of the human race might be independent colonies in space." And on Brexit, he feared UK research would be irreparably damaged. "Science is a cooperative effort, so the impact will be wholly bad, and will leave British science isolated and inward looking". I asked him what he would like his legacy to be. "I never expected to reach 75, so I feel very fortunate to be able to reflect on my legacy. I think my greatest achievement, will be my discovery that black holes are not entirely black." "Quantum effects cause them to glow like hot bodies with a temperature that is lower, the larger the black hole. This result was completely unexpected, and showed there is a deep relationship between gravity and thermodynamics. I think this will be key, to understanding how paradoxes between quantum mechanics and general relativity can be resolved." When asked if money or practicality were no object, what his dream present would be, he said it would be a cure for motor neurone disease - or at least a treatment that halted its progression. "When I was diagnosed at 21, I was told it would kill me in two or three years. Now, 54 years later, albeit weaker and in a wheelchair, I'm still working and producing scientific papers. But it's been a great struggle, which I have got through only with a lot of help from my family, colleagues, and friends."